We live in a society today where truth would rather be silenced than proclaimed. The media, which was once a trust source of news about our everyday lives, has now becomes more of a twist on stories to evoke fear and propaganda - more to boost ratings than to give an actual account. And for us Christians, we know in nation that has turned its back on God, we are constantly ridiculed and pressured to keep silent when we call others to repentance and faith, knowing God’s judgement on this lawless nation is only so far away. It seems like a battle we are steadily losing, but sisters, don’t lose hope. Remember truth is still truth, no matter if people believe it or not. We still speak the truth of God, and remember faith comes from hearing through the word of Christ (Romans 10:37). 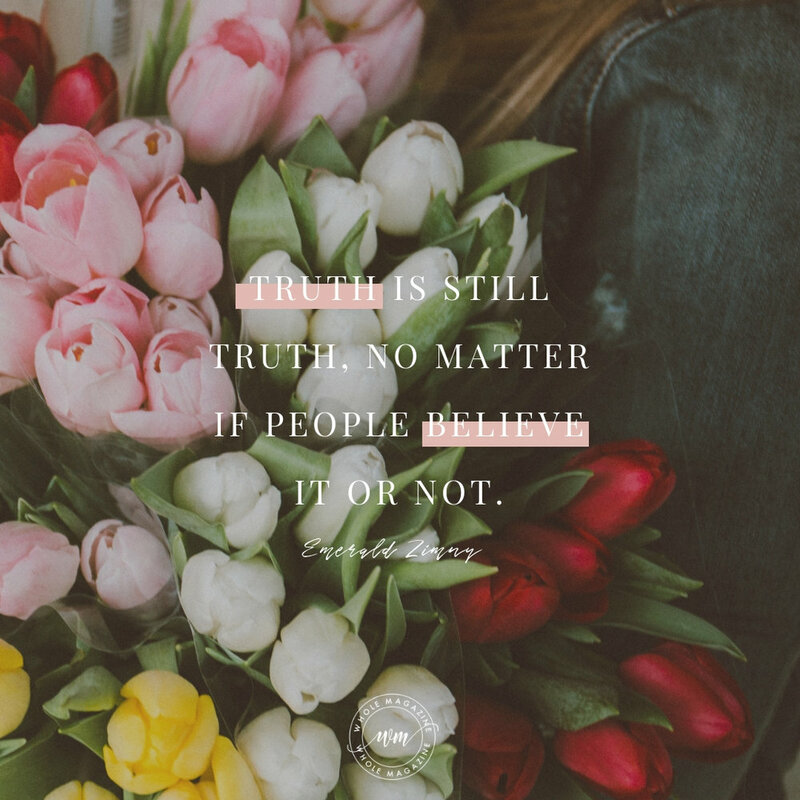 Even if it is hard, and we are in a position to stand up for truth among the pressure of being silent, we are still called to speak truth to our neighbors (Ephesians 4:25). You will be hated for it. You will be mocked, and you may even have consequences for standing up for what is right in the sight of our God. Remember this world hated our Savior, too (John 15:18). He is truth (John 14:6). Take heart in knowing that no matter what, He will turn all injustices you face around for His glory and your good (Romans 8:28-34). Let this encourage us to speak truth in love, and not just love for our neighbors, but love for God and the truth proclaimed in His Word. Lord, we live in a nation with sexual perversion, slaughtering of children, and other evils that are not hidden from Your sight. Please give us the strength we need to call out murder for what it is and be willing to stand up for righteousness. The world hated You first, but You have overcome the world. Please come back soon, Lord. In Your name we pray, Amen.